The Southwest FFA chapter had a blast at the PBR in Springfield on September 8, 2017. 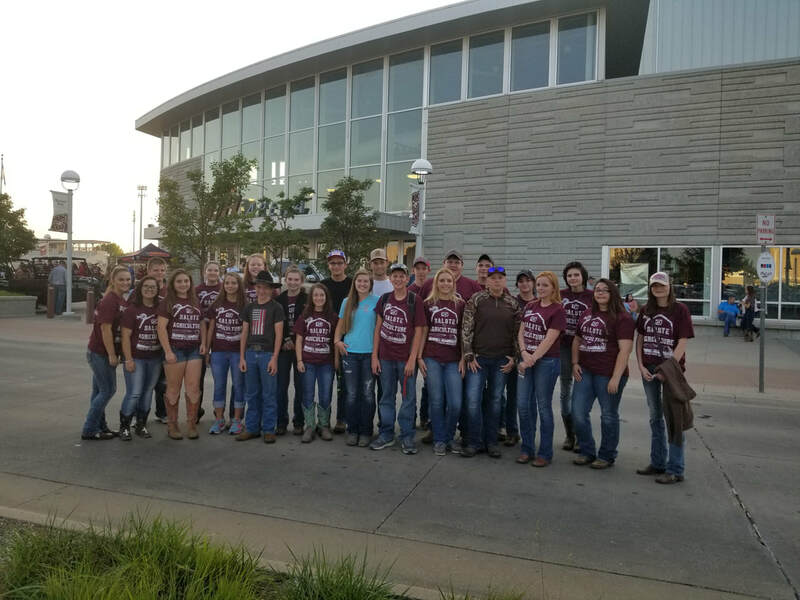 The group had 25 members and two advisers enjoy watching, and they enjoyed participating in the Annual Farm Bureau salute to agricultural which brings FFA members together to enjoy the PBR and receive a t-shirt. The Southwest FFA members that participated were: Maggie Patterson, Andy Cornell, Elizabeth Ross, Ivy Tilford, Myka Cook, Ty Howard, Jacey Ball, Leland Colf, Heather Windes, Vinny Suchowski, Joey Patterson, Kamryn Jones, Aubrey Cornell, Breanna Hamilton, Charlie Henderson, Brooklyn Hamilton, Kayleigh Booher, Jackayla Bruno, Shaylin Hendrix, Montana Reeves, Faithann Townsend, Emily Berry, Teresa Thompson, Tim Deshields and Destiny Dulin.